Mahindra Rexton India launch on October 17! Mahindra & Mahindra will launch their new SUV, the Rexton in India on October 17. The Rexton is going to be the first Ssangyong model that Mahindra will introduce to the Indian market. 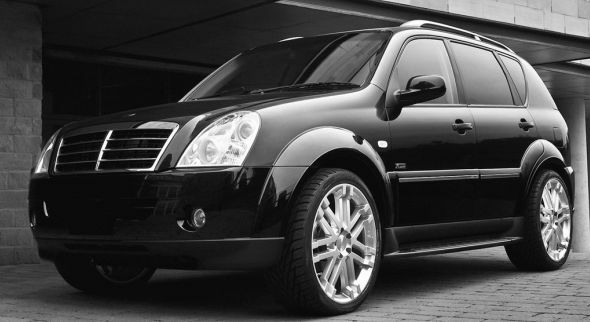 The Rexton will first be launched in Mumbai followed by subsequent launches in Delhi and Bangalore. The Rexton will likely be powered by a 2.7-litre turbocharged common-rail diesel engine that will churn out 182 bhp of power and 402 Nm of torque. We expect the Rexton to come in both 5 speed manual and five speed automatic variants, though this hasn’t been confirmed yet. It will likely sport features like a tire pressure monitoring system, enhanced parking brake technology, a forward collision warning and avoidance system. It will also get a four-wheel (4WD) drive system, while all round disc brakes will be a standard feature. Mahindra will assemble the Rexton at a new plant in Chakan, close to Pune. This will allow Mahindra to price the Rexton aggressively between Rs.18 lakh and Rs. 20 lakh. Mahindra aims at selling 500– 600 units of the Rexton per month. The rear of the upcoming SUV is a little old school with its simple looking tail lamps and may not be appreciated by those looking for a more edgy design. Inside the Rexton will be up-market with leather upholstery and will see ample use of beige. Fit and finish can be expected to be better than that of other Mahindra vehicles due to its Ssangyong roots.